A Homeowners’ Association, or an HOA, is the governing body of a certain subdivision, townhouse developmentReal Estate Investment Trust (REIT)A real estate investment trust (REIT) is an investment fund or security that engages in income-generating real estate properties. The fund is operated and owned by a company of shareholders who contribute money to invest in commercial properties, such as office and apartment buildings, condominium, or community that is established when a realty development is built. It is installed to provide a set of rules and regulations that are enforced on a property that is under its jurisdiction. Every individual or family that purchases a property on said subdivision automatically signs up for membership to the homeowners’ association and receives a copy of the Covenants, Conditions & Restrictions (CC&R’s). Each month, a corresponding membership fee is paid; the actual amount depends on the facilities available to the members. Developments with only the standard facilities like a swimming pool, playground, and clubhouse charge a feeService ChargeA service charge, also called a service fee, refers to the fee collected to pay for services that relate to the product or service that is being purchased. of a few hundred dollars while the high-end ones with more facilities can charge as much as $1,000 to $5,000. 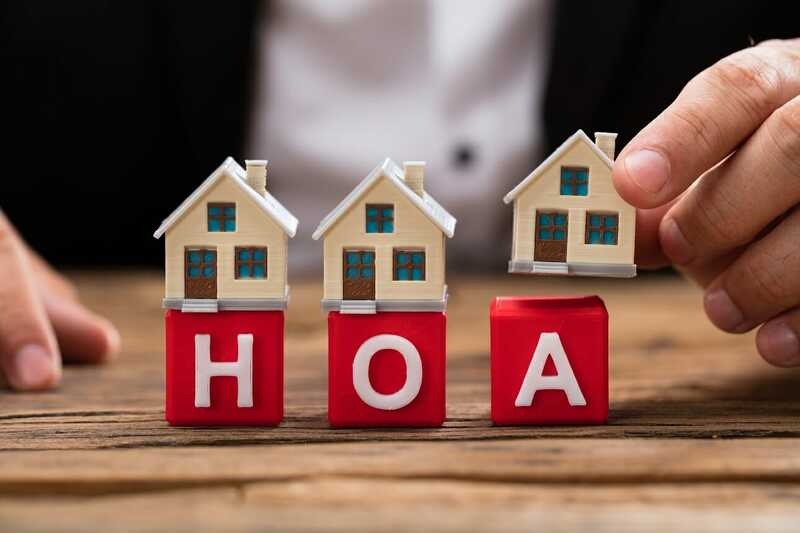 An HOA ensures that all bylaws set by the association, as well as those imposed by city ordinances, are followed by hiring a property management company that takes charge of enforcing the rules and handling maintenance jobs. A covenant, in its strictest sense, is a legally binding agreement between parties and that is pretty much the same when it comes to real estateReal EstateReal estate is real property that consists of land and improvements, which include buildings, fixtures, roads, structures, and utility systems. Property rights give a title of ownership to the land, improvements, and natural resources, such as minerals, plants, animals, water, etc.. The covenant or the CC&R’s contains the rules that are imposed on real property and is enforced by the homeowners’ association, binding the owner of a real property that is under its jurisdiction. In fact, even a very simple mutual agreement signed privately by and among people living in a neighborhood, village, or subdivision is also legally binding, and a breach of it may involve a court hearing. Basically, there are two reasons why a covenant is entered into by homeowners. First is to keep and enhance the aesthetic value of the village or subdivision. Secondly, it is to enable the homeowners to live comfortably and in peace without the annoyance of outsiders and by some other members who may cause a distraction or disturbance within the premises. For example, a certain member of the homeowners’ association is holding a birthday party at the clubhouse, inviting one hundred people to use the swimming pool without acquiring the permission of the association. It can cause annoyance to other members who may also want to use the clubhouse and also increases the chance of breaking or destroying the facilities or the landscaping. One of the things that make a community exclusive is its landscaping, which is designed to include every individual property within the premises. Anyone who comes here for a visit can immediately tell that he’s entered the village because of the landscaping, as well as the security office and greetings at the entrance. Also, the sidewalk, fences of individual homes, plants, gardens, clubhouse design, and others are part of its landscaping. The most attractive part of living in an exclusive neighborhood is the security that comes with it. In fact, developers always use it as one of their strongest selling points. The homeowners’ association is responsible for hiring a security agency, who then assigns personnel to secure the entire property and sets rules regarding access to the neighborhood and maintenance of privacy. When living in ordinary residences, it is the local government who takes care of street lighting and maintenance. However, in exclusive neighborhoods, it is the HOA that is responsible for it, using funds from the association’s coffers. After all, each member pays a monthly membership fee to cover projects, which include street maintenance. The homeowners’ association wants to control what goes in and out of the neighborhood and what is done to the properties of each member. There are so many restrictions imposed depending on the property such as how and when renovation or modification can be done, whether pets are allowed or not, and how old the residents are. There are even HOA’s that don’t allow the putting up of a convenience store or grocery within the village. With everything that’s been stated above, an HOA offers numerous advantages and disadvantages. But let’s take a look at the positive points first. In a nutshell, an HOA protects every property that is under its jurisdiction and thus, increases its aesthetic and market values. The rules that are imposed help maintain the neighborhood and ensure that every member is aware of his or her responsibilities as a resident. It further establishes the condition that since violations come with consequences, each member follows the rules which help attain order and harmony. People who live in the same neighborhood with an HOA share the same values that promote goodwill and great relationships with neighbors. With security as one of a village’s strongest features, members of the HOA can sleep better and more soundly at night, knowing that they are safe. Kids can also play in the clubhouse or just outside their street during the day without having too many negative thoughts to think about. Remember that there are monthly fees to pay in an HOA and part of that goes to maintaining its amenities such as the clubhouse, swimming pool, recreation center, tennis courts, basketball courts, and others. Living in an exclusive neighborhood gives one the privilege to enjoy such facilities for free and without having to leave the village and incurring additional costs. To balance our knowledge of what a homeowners’ association is, let us also discuss its disadvantages. Living in a well-maintained neighborhood doesn’t come for free. Fees are paid monthly which may even be more expensive for subdivisions that have more luxurious amenities. Not to mention, there may also be extra fees to be paid by the members. For example, the homeowners’ association feels like putting an additional pool and recreational center but is underfunded, then, the expenses to be incurred for these will be offset by the members by having to pay an additional amount for a certain period. While some members may want to open their property to renters, most HOA’s enforce rules on this. For example, a certain neighborhood requires that only 20% of the houses can be open to tenants while the rest have to be occupied by the owners themselves. Other homeowners’ associations don’t give the freedom to members to just let anyone rent their house and, instead, subjects renters to a rigorous screening process that some people may feel uncomfortable with. One of the HOA’s purposes is to make sure that the aesthetic side of a property is maintained all the time. So, the moment a part of one’s house needs renovation, the HOA will require it to be done the soonest. Being a member of a homeowners’ association does not guarantee lifetime membership, especially if a homeowner fails to pay the relevant fees. A foreclosure will surely be around the corner. Based on the above information, it can be said that overall, an HOA is a good thing. People should just need to remember that nothing good comes cheap. Living in comfort, style, and luxury surely doesn’t come easy but it definitely comes with a price. Rent-to-OwnRent to OwnRent to Own a house is a way for someone to immediately move-in and be living in a house by paying rent, and later having the option (but not the obligation) to purchase the home from the owner. There are several reasons why renting to own can be attractive for both parties in the transaction.